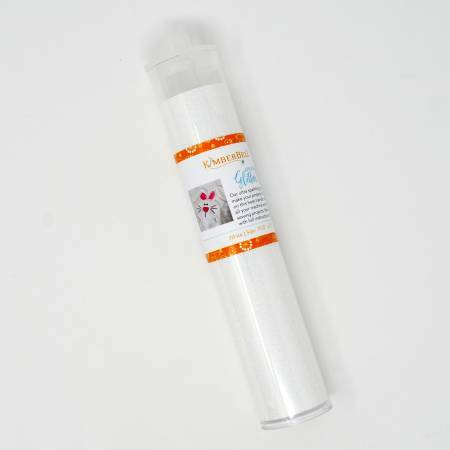 Fabric > Applique Glitter Sheet White 19.5" x 7.5"
Applique Glitter Sheet White 19.5" x 7.5"
Kimberbell's ultra sparkling glitter sheets will make your projects shine! Simply iron-on this heat transfer vinyl for use in all your machine embroidery or sewing projects. Machine washable on gentle cycle, low heat to dry, garments inside out. Full instructions included!